Sinus infection is the infection of sinuses, air-filled cavities in the skull (such as between the eyes, behind the nose, forehead, and cheekbones). Typically, it doesn’t cause serious problem and easy to treat. But if you have high blood pressure (hypertension), it could be more challenging since some treatments may cause a spike in blood pressure. When your heart pumps the blood throughout the body (when it beats), the blood moves and pushes against your arteries. And the strength (pressure) of this pushing is what we call as ‘blood pressure’. You probably have hypertension if your blood pressure is consistently higher than normal (140 /90 or higher). Normally, it should be around 120 /80. Hypertension is linked to a wide range of health conditions (from mild to serious). But in essence, it will cause extra pressure on your heart and arteries. As a result, this will increase the risk of heart disease, stroke, kidney disease, dementia, metabolic syndrome, and more. The bad news, there is usually no early symptoms of the condition. So you need to check your blood pressure! This is the only way to know whether or not you have hypertension. Poor, unhealthy diet such as too much salt and lack of fiber. In fact hypertension is more common in elderly people. This suggests that the risk increases with age. Hypertension is likely to run in families. If you have first degree relative (such as parent, daughter, or sister) has or has had hypertension, you have a higher-than-normal risk to develop the same condition. Race! Without known reason, it seems that the condition is slightly more common in blacks than whites. Underlying medical condition. For example, hypertension is common in people with kidney disease. Interestingly, kidney disease is also a common consequence of hypertension. More risk factors that you have mean the greater risk of developing the condition. Some lifestyle measures (such as healthy-balanced diet and regular exercise) can really help lower your blood pressure. But sometimes these are not enough and you may need to take blood pressure medication to help control it. There are many types of blood pressure medications to choose from. The common ones include thiazide diuretics, ACE inhibitors, calcium channel blockers, and angiotensin receptor blockers. Each case can be different. Even what works so well for your relative or friend may not work well for you. Your doctor who knows most about your condition can help prescribe which one that works best. 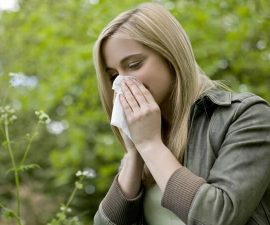 Sinus infection, also known as ‘sinusitis’, is usually mild and easy to treat. It rarely leads to serious complications! But if it has caused its complications, some could be serious. The treatment usually starts with simple remedies, like nasal solution to help relieve the congestion more quickly. If the problem doesn’t improve, it may progress to more advanced strategies (like prescription medicine therapy or even surgery if necessary, depending on the underlying cause of the problem). If you have high blood pressure, your sinusitis treatment should not cause a spike in your blood pressure! And if you are taking your blood pressure medicine, make sure there is no risk for drug interaction (ask your doctor for more guidance)! What is drug interaction? It is a term used to describe the possible interaction of two or more different medicines when taken at the same time. They can influence each other, which may lead to decreased effectiveness of the medicine or/and cause increased side effects. Sinusitis is classified into several types by how long it lasts. It can be acute, sub-acute, chronic, and recurrent (learn more in here). 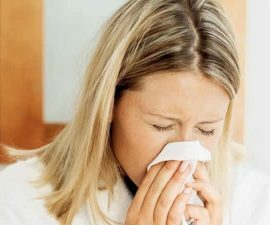 The good news, most cases of sinus infection are acute. Acute means the problem lasts less than 4 weeks. It is relatively easier to treat, and even it often gets better in time (without treatment). Lifestyle measures such as keeping hydrated and adequate rest are usually enough to cope with. 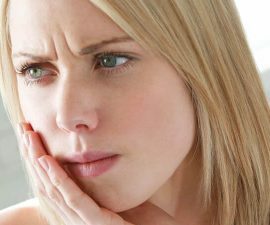 See also home remedies for sinusitis in this section! Why is Sinus Infection Worse at Night? Get Rid of Sinus Infection Fast at Home!